I stayed here a week (visited a friend). There is a bit of traffic (trucks mostly) on the road outside the park, but quiet at night. Well maintained and friendly, helpful staff. It is not close to much, but the freeway is close by. I would stay here again. 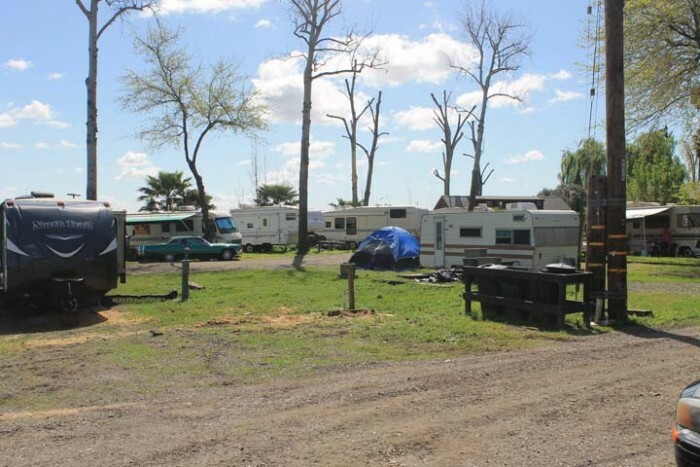 We camped at Country Corners RV Park and Campground in a Motorhome. When I called for a reservation, I was told reservations weren't taken, that there should be spaces available. Turns out I was the only one parked in the area. It was also raining, but the area was very quiet until the morning. Construction equipment, school buses and commuters drove through. I would come here again, for an overnight only. We camped at Bannock County Fairgrounds in a Travel Trailer. First, the cons: It is on the main street, so there is a fair amount of traffic noise. Sirens from ambulances, cops, etc sounded a couple of times while I was there. The streets within the park are paved, but are so badly maintained, there are potholes and cracked pavement. The women's shower has some tiles missing and the threshold between the shower and the “dry” area seems to be wood. It is also lower than the bottom of the shower curtain, so water gets into the “dry” area. The toilet paper dispenser in one of the stalls in the women's room is broken and falls open when you pull out the toilet paper. 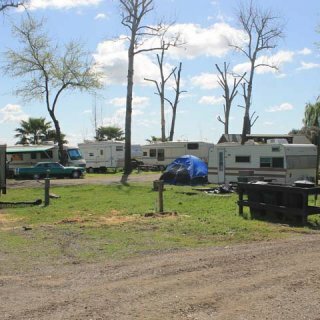 The pros: The areas for the RVs are gravel, with a concrete patio and surrounded by grass. It is well maintained (except interior roads, see above). The areas are fairly large, so you aren’t on top of your neighbor. The staff is friendly and helpful. The wifi worked well the whole time I was there. The women’s restroom was clean and well maintained except for the above noticed problems. I would stay here again and may during the spring. We camped at Cedar City KOA in a Travel Trailer. This park is next to the freeway. The sites are so close together, you can hear noise from the unit next to you. There is a shared space for utilities. The wifi not only didn't work, it didn't even exist. One of the managers told me it would be coming back "soon", but it never did. The sites are paved, but too close to the neighbors. Many of the residents are permanent, some with up to three cars at their spaces. RVs in the driveway as well. I won't be back. We camped at Mountain Shadows RV Park in a Travel Trailer. Level parking in a pull-thru on gravel. Streets are paved. Showers & bathrooms not used much (it seemed) but were clean. WiFi kept disconnecting me except for the first day. It is close to Hoover Dam, Arizona, and Las Vegas without being full of people. Staff is very pleasant and helpful. Laundry has eight washers and eight dryers in one area and another couple of both in the next room. Laundry was clean with lots of reading material. Rate is based on a weekly rate. TV was okay, but I used my antenna to get the channels I wanted. I would stay here again, but don't plan on being near Las Vegas ever again. We camped at Canyon Trail RV Park in a Travel Trailer. Great place to stop for a night or two. Sites are dirt but mostly level. Concrete pads at each site that I saw. The friendliest people manage the place and are very helpful. I couldn't connect to Wi-Fi, but my antenna worked well. Would definitely stay here again. We camped at Lincoln RV Park in a Travel Trailer. Fresno is hot. This park has lots of trees, still mostly young so not totally shady but enough to help. Bathroom is tiled and shower can put water all over the floor. Toilet is shaky and low. Still, it is a good place to stay to visit national parks with lots of available shopping. Rate is for weekly rate. Apparently under flight pattern for airport and highway noise is not loud, but persistent. 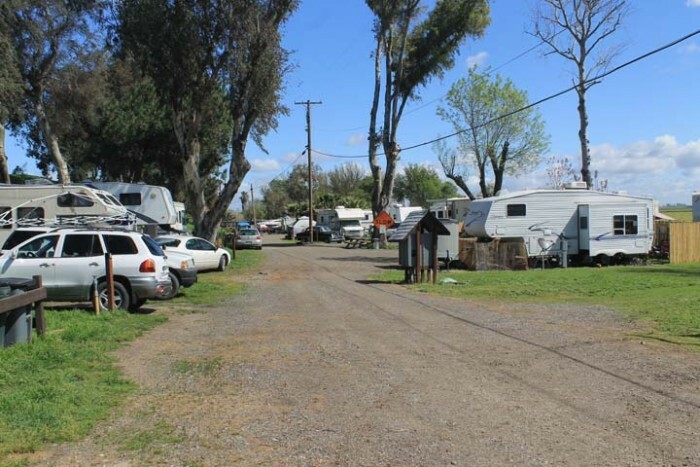 We camped at Blackstone North RV Park in a Travel Trailer. Staff is friendly and they also are very helpful. Except for the wind and birds, there is no noise at the park but people driving off. I enjoyed the quiet and the people. Spaces are either in full sunlight or nestled in the tall trees. My spot had a tree that grew alongside the spot, so it was tricky backing into the site. Lots of birds, so bird droppings can be a problem. Would stay here again in a heartbeat. Rate is for monthly rate. Stayed 3 months. 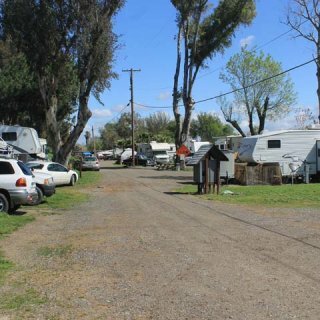 We camped at Eddo's Harbor & RV Park in a Travel Trailer.